Upon being sworn into office on January 11, 1929, Pearl Oldfield became the first woman from the South to serve in the House. In one of her first actions as a Representative, she expressed support for a $24 million appropriation to provide for federal departments’ funding of the enforcement of Prohibition laws. “I’m for that $24,000,000 and as much more as they ask for,” Congresswoman Oldfield told the New York Times. “I don’t want them to have any excuse for not carrying out the Prohibition enforcement program.”10 She did not receive committee assignments until the 71st Congress convened on March 4, 1929. As a member of the minority party (the GOP gained 32 seats in the House during the 1928 elections to further solidify their dominance in the Chamber), Oldfield received assignments on three committees: Coinage, Weights and Measures; Expenditures in the Executive Departments; and Public Buildings and Grounds. “Miss Pearl,” as constituents affectionately called her, primarily tended to the needs of her district that covered large portions of northern and central Arkansas. She sponsored legislation to continue federal aid for the rehabilitation of farmland damaged by the severe Mississippi River floods of 1927. Unemployment caused by the Great Depression compounded the economic misery of residents from rural Arkansas. “I want to say that the situation is distressing and most grave with cold, sickness, and actual starvation present in many sections” of the district, Congresswoman Oldfield reported to colleagues in January 1931. Oldfield asked her House colleagues to approve a $15 million food appropriation to alleviate malnutrition in drought–affected areas where Red Cross relief efforts were inadequate to meet the demands for food. “Some Members object to passing the $15,000,000 appropriation for food. They call it the dole system,” Oldfield said. “Under ordinary conditions I also would oppose it, but under ordinary conditions Arkansans would not be compelled to make the appeal. But this is an extraordinary situation, and I feel that the end sought to be accomplished justifies any honorable means.”11 She also sponsored legislation to authorize the Arkansas Highway Commission to construct toll–free bridges across the Black River and White River in her district. She described herself as a district caretaker, fastidious about answering constituent mail and regularly attending floor debates. When Arkansas Congressman Otis Wingo passed away in 1930, Oldfield memorialized him on the House Floor as a family man and longtime friend.12 Several months later, she welcomed his widow, Effiegene Wingo, when she succeeded her husband in a special election. It marked the first time two women from the same state served simultaneously. Oldfield retired from the House in March 1931, and though she often visited Batesville, she remained in the nation’s capital caring for her mother, who died in 1933. 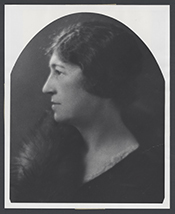 Although she had no children of her own, she looked forward to devoting herself to a niece and nephew in retirement, as well as to charitable causes “for children.” Pearl Peden Oldfield passed away in Washington, D.C., on April 12, 1962. 1“Mrs. Oldfield to Quit Congress at Term End,” 30 May 1929, New York Times: 8. See also, Hope Chamberlin, A Minority of Members: Women in the U.S. Congress (New York: Praeger, 1973): 65–66. 2“W.A. Oldfield, Whip of the House, Dies Here,” 20 November 1928, Washington Post: 1; “William A. Oldfield,” 20 November 1928, Washington Post: 6; “W.A. Oldfield Dies; A Leader in the House,” 20 November 1928, New York Times: 28. 3“Mrs. Oldfield to Retire,” 30 May 1929, Los Angeles Times: 4. 5“Mrs. Oldfield May Run for Seat in Congress,” 24 November 1928, Washington Post: 3. 6“Arkansas to Elect Widow of Oldfield,” 27 November 1928, Washington Post: 5. 7“Oldfield’s Widow Wins House Seat Nomination,” 8 December 1928, Washington Post: 2. 8V.O. Key, Jr., Southern Politics in State and Nation (Knoxville: University of Tennessee Press, 1984): 183; 185–187. 10“Dry League Pushes Big Fund in House,” 29 January 1929, New York Times: 13. 11Congressional Record, House, 71st Cong., 3rd sess. (12 January 1931): 2019. 12Congressional Record, House, 71st Cong., 3rd sess. (19 February 1931): 5418. 14“Leave Politics to Men, Woman in House Says,” 31 December 1929, Washington Post: 1. 15“Mrs. Oldfield Decries Feminist in Politics,” 19 February 1931, New York Times: 3. "Pearl Peden Oldfield" in Women in Congress, 1917-2006. Prepared under the direction of the Committee on House Administration by the Office of History & Preservation, U.S. House of Representatives. Washington: Government Printing Office, 2006.